We here describe the purification of calpastatin from human erythrocytes. 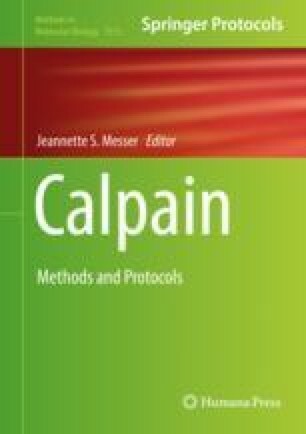 When calpastatin is purified from tissues, it is necessary to measure its inhibitory activity against calpain in the presence of Ca2+ to specifically identify the protein. Thus, the purification steps necessary to obtain the inhibitor protein were originally designed to obtain calpain from the same tissue. For this reason, in addition to calpastatin purification, we also include a method for purifying human erythrocyte calpain and globin. We routinely use these two components for assaying calpastatin inhibition. This work was supported by the grant FRA2015 and FRA2016 from the University of Genova to MA and RDT.